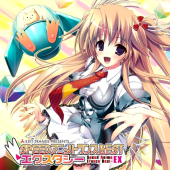 Trance covers of Bishoujo game themes. Finally, a non-anime release! 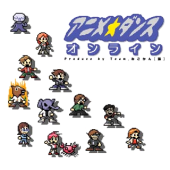 Tokusatsu Trance features theme songs from famous tokusatsu films and television shows. Most of the themes are from Japanese media, including multiple songs from the Super Sentai (yay, Magiranger!) series. Some Western shows/films are represented as well. Unfortunately, “X-terminate” by Ziggy X doesn’t come anywhere close to Saifam’s amazing version of the Terminator theme. 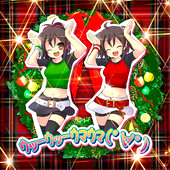 Yet another remix of “Caramelldansen,” this time by famous doujin circle, IOSYS. The rest looks pretty random, but I guess that’s the point. One new song from Tsukasa! Two new songs from Kei!! Two new songs from ari/Aya!!! Two new songs from Chika!!!! Two new songs from mint!!!!! As Kylie would put it, wa-wa-wa-WOW! The only Hime Trance queen missing is Misa! There are, of course, some repeats. 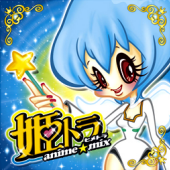 Six tracks are from previous releases in the Hime Trance series. EMI also chose to license one song from Quake’s Speed Anime Trance Best series. Thankfully, it turns out to be one of the best: Florence’s “Komm, susser Tod.” Still, 7 old tracks out of 21 means that 2/3 of the album is brand new. That’s the largest percentage of new tracks on a Dancemania/Trance Paradise album in quite some time. I’ve also been informed by DJ Tomoe that the princess on the cover is modeled after Rei Ayanami from the Neon Genesis Evangelion series. Hooray for copyright infringement! Smile.dk have just put up a brand new, free download of “X-mas Party” on their official website. 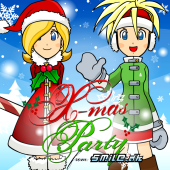 “X-mas Party” is a Christmas version of “Summer Party,” one of the best tracks off Party Around the World. In addition to sleigh bells and electric guitars, the remix also features slightly different vocals to make for a truly festive eurodance song. It’s just a shame they didn’t replace the “acting naughty” lyric, as it sounds completely out of place in a song that features Santa. I thought naughty kids get coal in their stockings? While you’re in the holiday spirit, why not check out Me & My’s “Too Much Christmas,” which is available digitally on iTunes. Available now from Japanese iTunes, Listen.jp, mora, Musico, and others. Host Para 2nd is yet another strange mixture of trance, house, reggae, euro, psychedelic, and hostalk. Did I enter some sort of time warp back to 2006? ‘Cause that’s the only possible explanation for this latest travesty in the Host Trance/Para series. It’s particularly sad that some of the tracks predate the ones that appeared on the first Hostrance. The bonus DVD will include a “How to Champagne Call” video as well as introductions to all 26 hosts. The Doki Doki digital single is now available for purchase on Amazon. 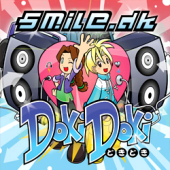 Last I checked, it wasn’t yet available on iTunes, but the official Smile.dk site says it should be up there soon. The odd thing is that the bonus track, which was supposed to be a new remix of Butterfly featuring Veronica and Malin, is not included on the digital single. There’s supposed to be a physical release of the single limited to 1,000 copies coming soon, so maybe the bonus track will only be included on the CD. In other Smile.dk news, it was recently revealed on Bubblegum Dancer that Doki Doki will be appearing on DDR X (most likely the Japanese version). Also, Naoki will be collaborating with Smile.dk for an all-new song! 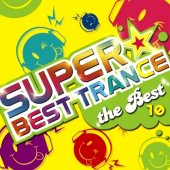 Obviously there are a ton of repeats, but it is surprising that they left off some of the more popular songs like “Heavenly Star” and “Are U Wake Up?” Instead, they’ve licensed quite a few tracks from EMI, FARM, and Quake. Another themed release, though at least this time it isn’t anime related. 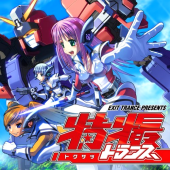 Dramatic Trance features, unsurprisingly, trance covers of J-Drama themes. Thanks to Drama Wiki for some of the romanizations. SATB presents Ghibli*Speed! Quake appear to have been “inspired” by FARM’s Ghibli*Speed and have decided to do their own Studio-Ghibli-themed release. I’m not sure why they didn’t just make a new series instead of including it as part of the R25 series. 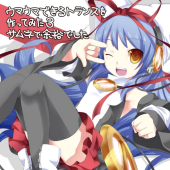 Near as I can tell, this release will focus primarily on popular Vocaloid-produced songs. Man, they’re really churning these out, aren’t they? 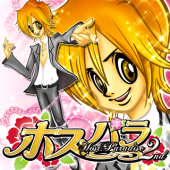 The sequel to Super Anime Remix Vol. 1 once again features a 2-disc set of eurobeat anime covers. Many of the artists are still undecided, but it’s nice to see new material from Shihori, who is perhaps Akiba Koubou’s best vocalist.